Make a transformative impact on STEM education in Arizona middle and high schools. 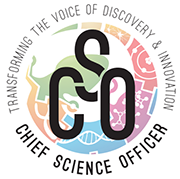 Volunteers are sought to serve as “SciTech Jedi Mentors” for the Chief Science Officers (CSO’s) at the CSO Summer Institute. Don’t let the title scare you – anyone can help mentor these young CSO’s. Volunteers will work in shifts to informally coach small teams of 10-15 CSO’s. CSO’s are 6th through 12th grade students who are elected by their peers to serve as the voice for the schools in their community. These CSO’s identify and organize STEM opportunities such as speakers, field trips, activities and events for their peers. To help them achieve their goals, “SciTech Jedi Mentors” will be helping these young people with their leadership skills, strategic planning, and communication skills. This is a rare opportunity to make a huge impact on high school students across the valley, just by sharing your education and work experience and just a few hours of your time. Please confirm your space by contacting Jeremy Babendure at jeremyb@azcommerce.com or signing up online here.